Today was spent working on a Transformer quilt. Months ago, I found an autobot pattern that was designed by Susan Guinto. The site offered a free download. The pattern is suited to 2.5 inch strips and squares. A few weeks ago, I purchased the fabric from Poppy Quilt ‘Sew Shop in Georgetown. I painstakingly measured, counted, and recorded the number of black, gray, and white squares and strips that were needed. So, today, I cut the three different fabrics in 2.5 inch strips, WOF. The white fabric was cut LOF, since I needed a long enough top and bottom strip. I decided to cut what is needed in small sections, and piece-as- I go. This P-A-I-G method is so much easier than when I made a Darth Vadar quilt for my son. On the Darth Vadar quilt, I cut all the pieces. It was difficult for me to keep track of what I needed, when I needed it. The Darth Vadar quilt was also out of 2.5 strips and blocks. To make this quilt, I used a pattern from WSKanePatterns. My goal today was to finish half of the autobot. I reached that goal, except I found a mistake as I posted the picture. It will be an easy fix to remove the out of sequence black block from the second to the last row. I used the Stripology ruler grid to cut the strips. I am still doing something wrong at the onset, since I end up having to recut the bottom. The strips are more accurate than when I cut with a 2.5 inch ruler. I just have to study what I am doing incorrectly. It doesn’t happen all the time, just enough to be a nuisance. I also purchased a magnetic quarter-inch guide. It has improved the accuracy of the seams, but sometimes, before I get to remove the pins, the pins knock it out of line. Still, I like using this rather than the painter’s tape I was using. Oh, I found my notebook! In my past few visits to quilt stores, I have been looking at different quilt rulers. The rulers I have purchased have certainly made a difference in my cutting. I have not yet ordered more templates for the AcuQuilt, since I really do not know which set would be the best purchase for me at this time. While at the Poppy Quilt and Sew in Georgetown, I once again considered a Stripology Grid Ruler. My friend, Nancy, said she had one. After reviewing tutorials on the Stripology Ruler, I decided to purchase one. So far, I still do not know if I like it. The strips are more accurate, but I have difficulty using either one of my rotary cutters. They both seem to jam on me at the start. I will practice some more on this tomorrow. If I get this to work, I will begin to cut the fabric for the Transformer quilt. In the meantime, I have made two more blocks from Lucinda Ganderton. I used one of the other bird fabrics that I purchased. After making these two blocks, I am definitely going to make a quilt. I have two other bird fabrics, plus all of my scraps. 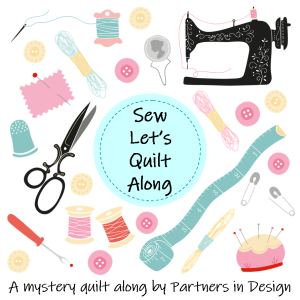 It would probably be better to plan the whole quilt before starting to make one…but I have always worked by the seat of my pants. Well, maybe not better…but that is how I work. I’ll keep on quilting, in my own way; and my sewing room will not be silent. These are bird blocks I have so far.